Sea-Changers Blog: Can you do something turtle-y awesome? Can you do something turtle-y awesome? I am really pleased to introduce another guest blogger who has been up to fantastic sea-changing things. 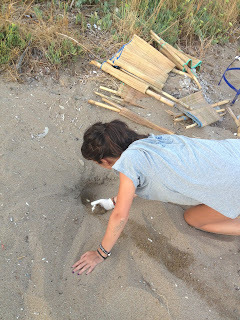 Catherine Lea recently spent time in Greece working on an amazing turte project. Since her return Catherine has been working as a volunteer for Sea-Changers. 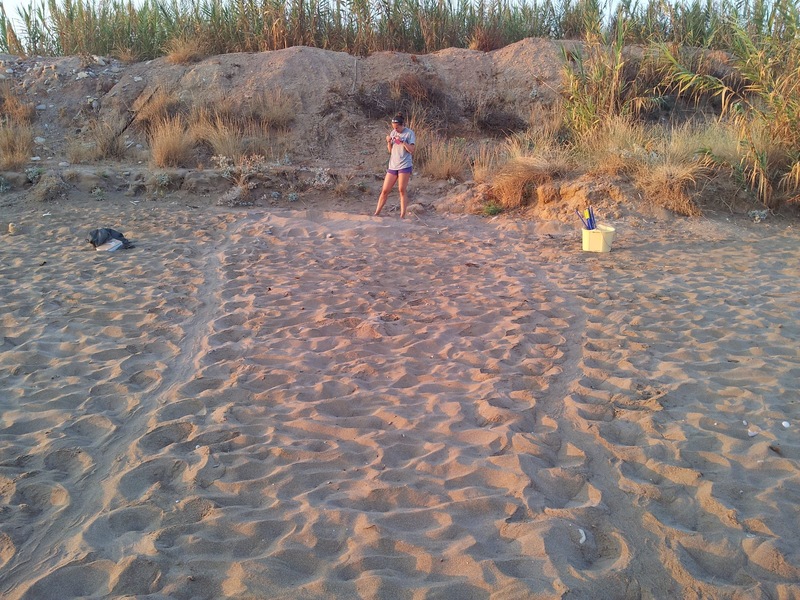 This blog describes her time with the ARCHELON project and how you can also get involved. There are seven species of sea turtle that exist on this planet and six of them are listed under the IUCN Red List as Critically Endangered to Vulnerable. Fulfilling many important roles (reducing competition between sponges and corals, grazing seagrass beds and acting as a transport vector for various crustacea), they can be considered a keystone species and thus are most vital to the successful functioning of many marine ecosystems. The awareness of the scale of destruction that human impacts are having upon our oceans is increasing everyday and these prehistoric creatures are not escaping lightly. Possessing both aquatic andterrestrial phases of their life cycle, sea turtle populations are being affected by human actions in both realms and personally I felt like I wanted to help make a difference, even if I wasn't going to change the world overnight. 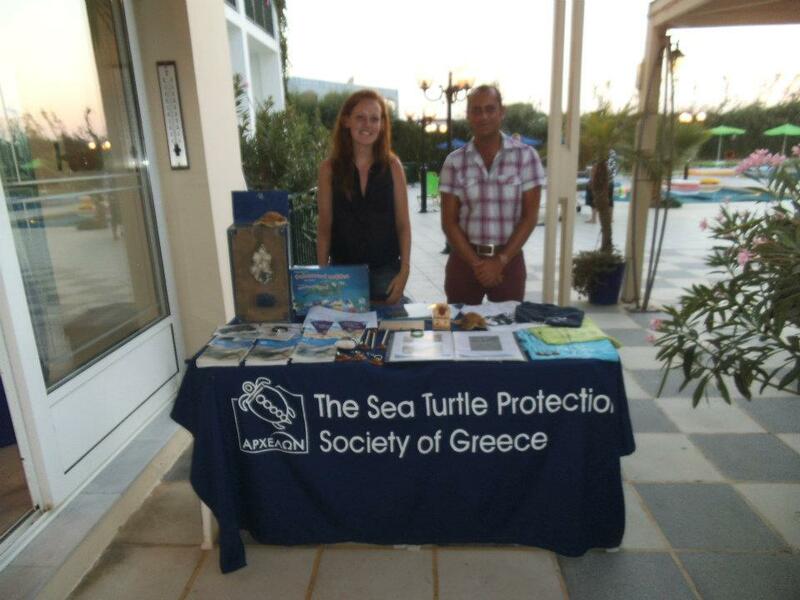 My name is Catherine, I’m a MSc Marine Environmental Management student and am a volunteer for Sea-Changers aswell as a UK Ambassador for ARCHELON (The Sea Turtle Protection Society of Greece) who I started volunteering for in 2011. 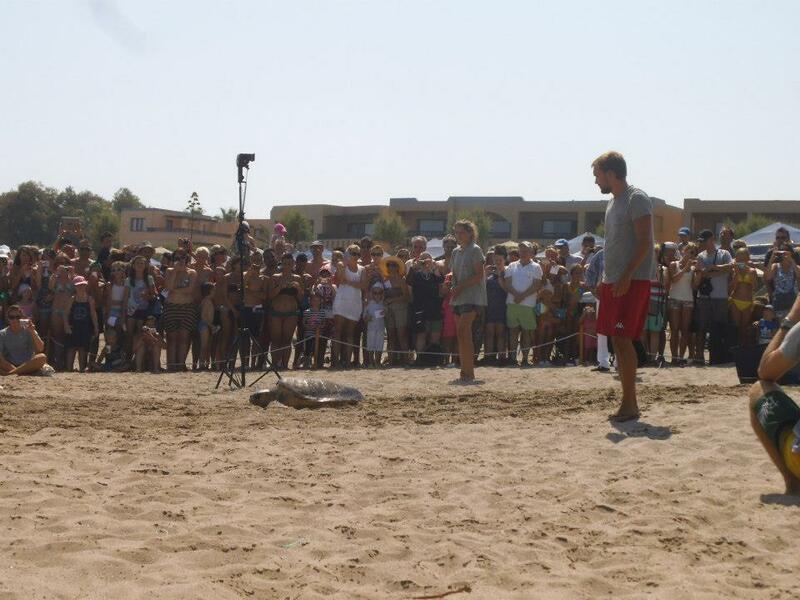 ARCHELON works to preserve Loggerhead sea turtles populations via a rescue centre in Athens, which aims to rehabilitate injured individuals and through monitoring at the seven nesting beach sites. Before I began volunteering, I had been getting itchy feet for several years and was eager to have an experience that would not only be affordable for my student pocket but in some-way benefit the world aswell as myself. Stumbling across ARCHELON by chance, I found that going directly through the NGO meant that fees were significantly smaller than those charged by some volunteering companies (and I knew that my money would go directly to them for buying resources and materials). Volunteers live on a campsite minimising the costs even further and providing a back-to-basics yet communal feel - meeting people of different ages and nationalities provides a great cultural and learning experience! Of course the main reason why everybody volunteers here is to help protect the sea turtle. The reproductive season (May-October) is unofficially split into two parts – the nesting season and the hatching season, it is these two areas that vary the work the volunteers undertake. The type of work volunteers carry out also depends on the site location and the main threats there, for example in Kyprissia the majority of threats come from terrestrial predators whereas in Rethymno (where I have volunteered), the increasing amount of tourism is what puts these creatures in danger. At sites where tourism is prominent, the work is largely divided into monitoring and public awareness shifts. The monitoring shifts allow volunteers to learn the biology and reproductive behaviour of the turtles whilst carrying out work to aid scientific data collection and research. Morning survey shifts during nesting season begin at sunrise and involves walking the beach to look for adult tracks. From these tracks it is possible to determine the behaviour of the female turtle and whether a nest was laid on the beach. If a nest is identified then it can be protected and monitored everyday. It is useful to protect these nests as they can be accidentally dug up or destroyed by if they are not clearly marked. If nests are at risk of being inundated by the sea, relocation actions may be required and the nest is moved to a natural beach hatchery where the likelihood of hatching is increased. In hatching season, morning surveys are a little different. Instead of searching for adult tracks, volunteers look for the tiny tracks of hatchlings that have emerged from nests overnight. Monitoring nests even after they have started hatching is important as it allows data to be collected on the hatching success of each individual nest and the excavations that follow allow further indepth recording of the nest conditions. 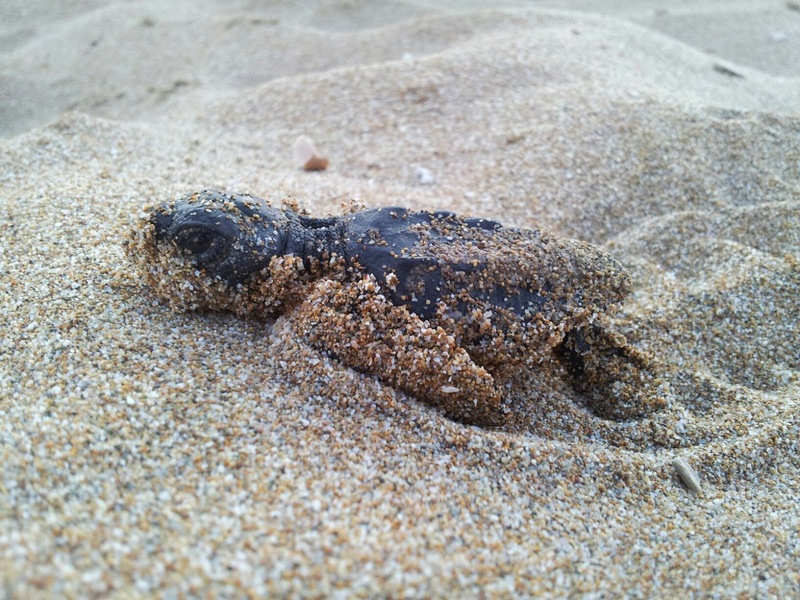 If you are lucky, you may even catch some hatchlings emerging from their nests early in the morning - it is always such a wonderful sight to see hatchlings successfully making their way to sea! The public awareness (PA) shifts typically involve visiting hotels in the mornings and evenings to promote awareness to holidaymakers and how they can help whilst they are on holiday. Slideshow presentations are also given in hotels during the evenings and are a great chance to inform audiences even further. Kiosks are also situated at each project site where volunteers inform passing tourists and local residents. These shifts are just as important as the monitoring as we cannot single-handedly help the endangered sea turtles without assistance from the public. Raising awareness of why these loveable creatures are in decline allows everybody to make informed decisions and think about their actions not only when using the nesting beaches but also in their day-to-day lives. 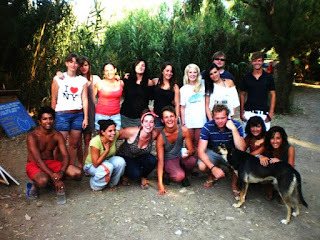 ARCHELON accepts applications from anyone over 18 from all over the world (family groups can even get involved!). Their website is www.archelon.gr where you can find a wealth of information about each individual project site including the rescue centre (which accepts volunteers throughout the year) and you don't need a biological or conservation background to volunteer as a lot of the knowledge is gained whilst on the job! Life as a volunteer can be tough going but there is still plenty of time to relax, play and take in the local history. The life experiences and memories that volunteers gained along the way are unforgettable and knowing that you have personally play a little part in hopefully saving this species from the risk of extinction is one of the best feelings in the world! Volunteering is ace! Well done Catherine. And thanks Sea-Changers for sharing this. I've Pinned it on Pinterest. I couldn't find Sea-Changers on there, am I missing something? Thanks for the feedback and for sharing on Pinterest. We are not on Pinterst yet - something for the new year!